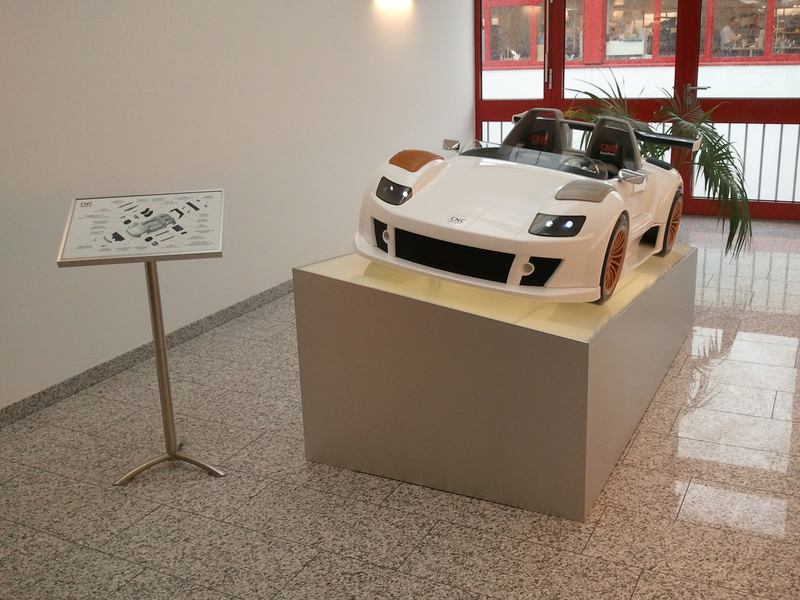 CNC Speedform – scale model of a car displaying various prototyping techniques and materials. 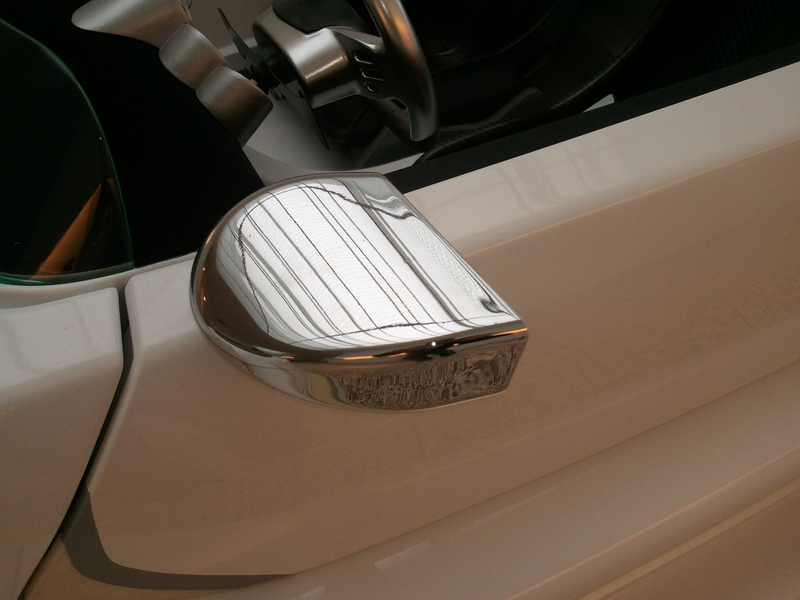 CNC Speedform – chrome coating on nylon rapid prototyped part. 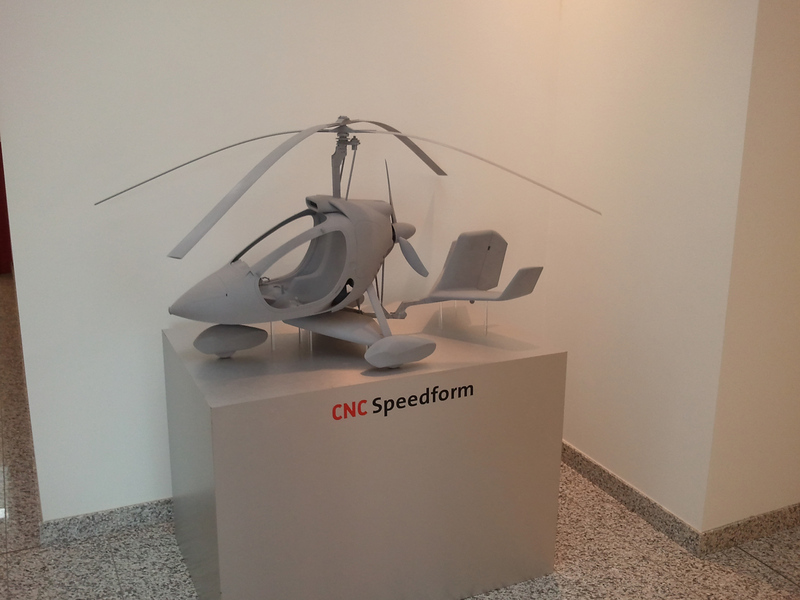 CNC Speedform – rapid prototyped scale model of an autogyro. CNC Speedform – display case. I’m in Germany! Nothing special there I guess: my phone always seems to think it’s in Germany anyway. 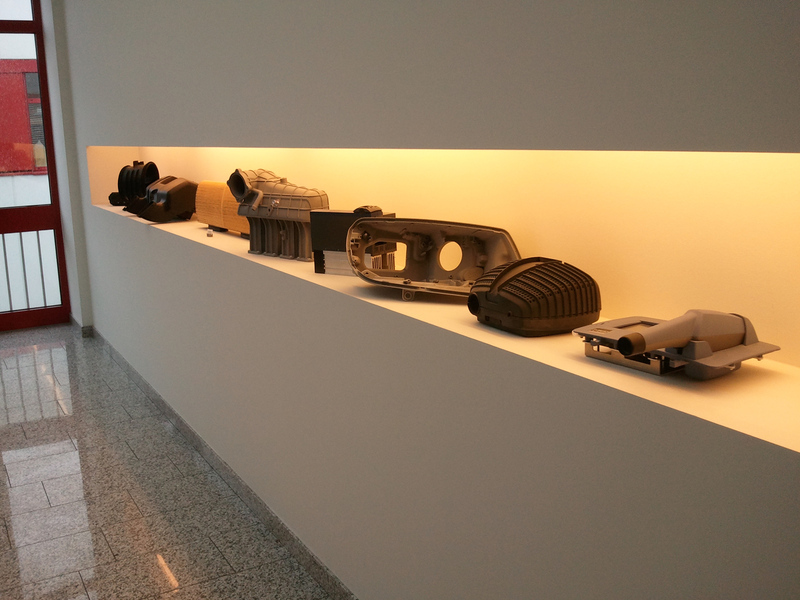 😛 I’m here to visit one of our preferred suppliers for rapid prototyped parts: CNC Speedform. We need to make some arrangements regarding lead time, considering the current project is a rather fast paced one, but we also need to discuss our options for structural foam moulding. Structural foam moulding (SFM) is a low-pressure foam injection moulding technique for thermoplastics that is well suited for the production of large technical structural elements and housings. It is a particularly good choice for medium-sized series in which high demands are placed on the stiffness and surface quality of the product. 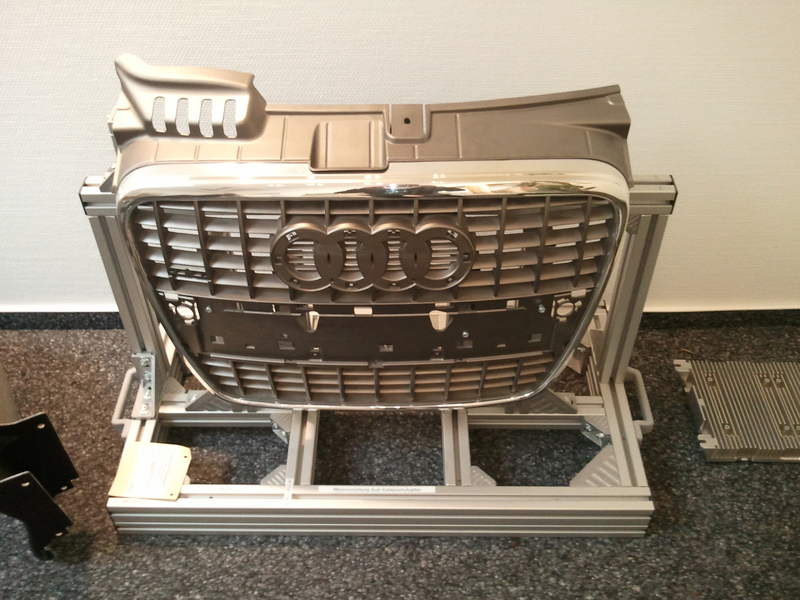 The design rules for SFM are quite different from regular injection moulding: for example, the minimum overall wall thickness should be 5mm, the wall thickness is allowed to vary a lot, electromagnetic shielding is possible, and surface collapse should not be an issue. As you can tell it’s an exciting production technique to work with that offers a lot of possibilities. 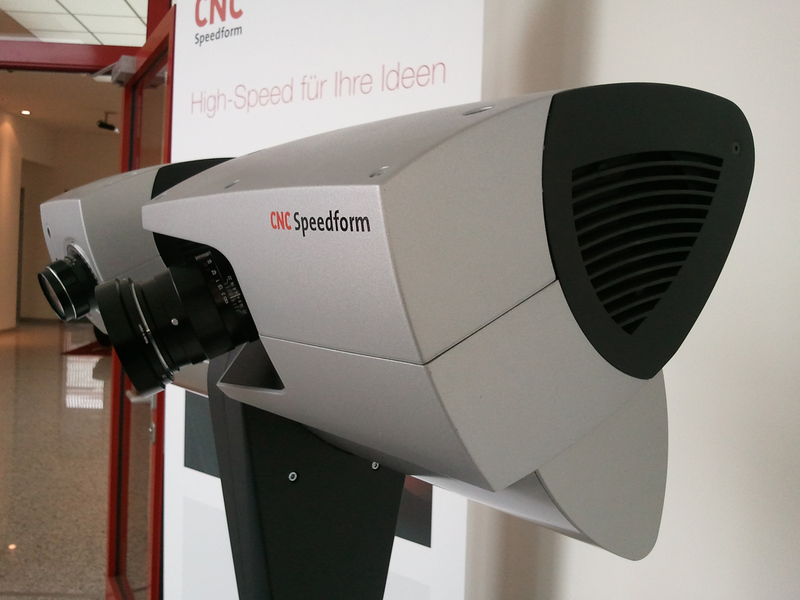 I’m looking forward to the tour of the facility: CNC Speedform has 9.500 m2 of production space and an impressive machine park. I will include pictures of the visit in this entry.